Home » tutorial » Halloween Outdoor Decorations: It’s a Witch Crashing! I love witches. I love to read and study about the history of witches. I love to decorate with witches. I love the history and lore of witches. To me, witches and goddesses go hand in hand, and I love to decorate with goddesses too, especially fertility goddesses. The whole power in women and birth, etc, and I think they are just beautiful. But let’s get back to the topic…witches. Witches are a big part of Halloween. 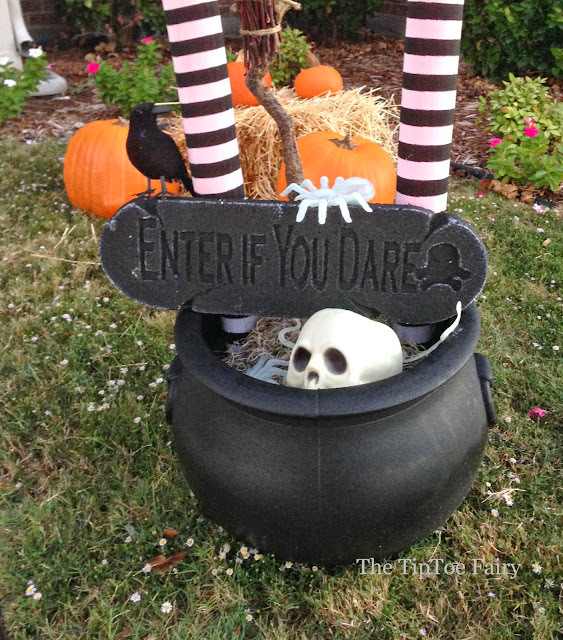 If you’ve been a regular reader lately, you know I am addicted to Halloween, especially decorating for Halloween. It’s my little way of sharing the love I have for this wonderfully fun holiday with all my neighbors, which here, deep in the Bible Belt, probably makes them all think I howl at the full moon and eat children. We moved into our home a little more than 2 years ago, and each year I try to add a new Halloween DIY project. When we first married, we lived in a shoe box apartment and then a rental house. Now that we own a house, I feel like I can finally decorate! 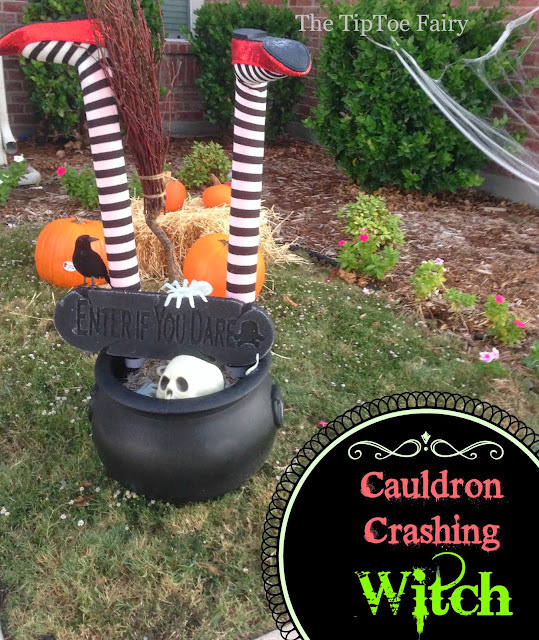 I decided very early this year that my newest DIY Halloween project was going to be witch legs crashed into a cauldron. I’ve been slowly collecting my supplies for a few months. 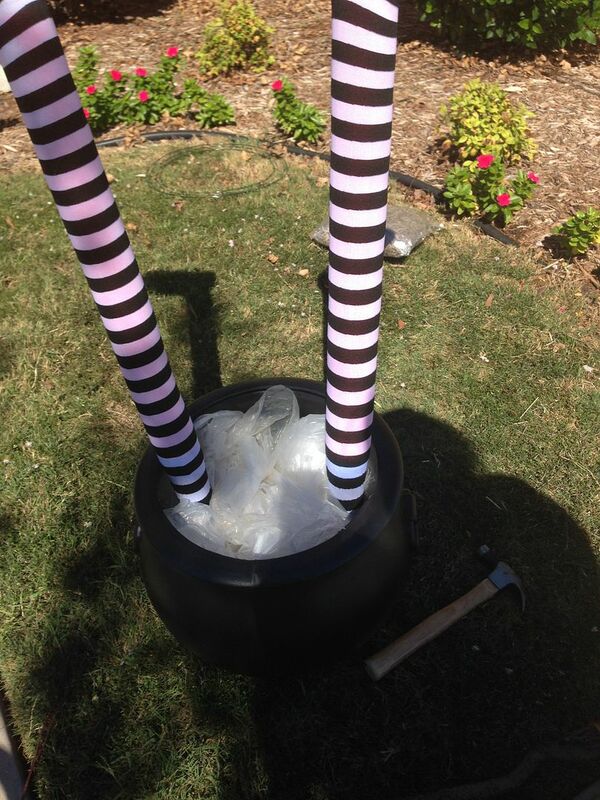 Giant cauldron from Party City. 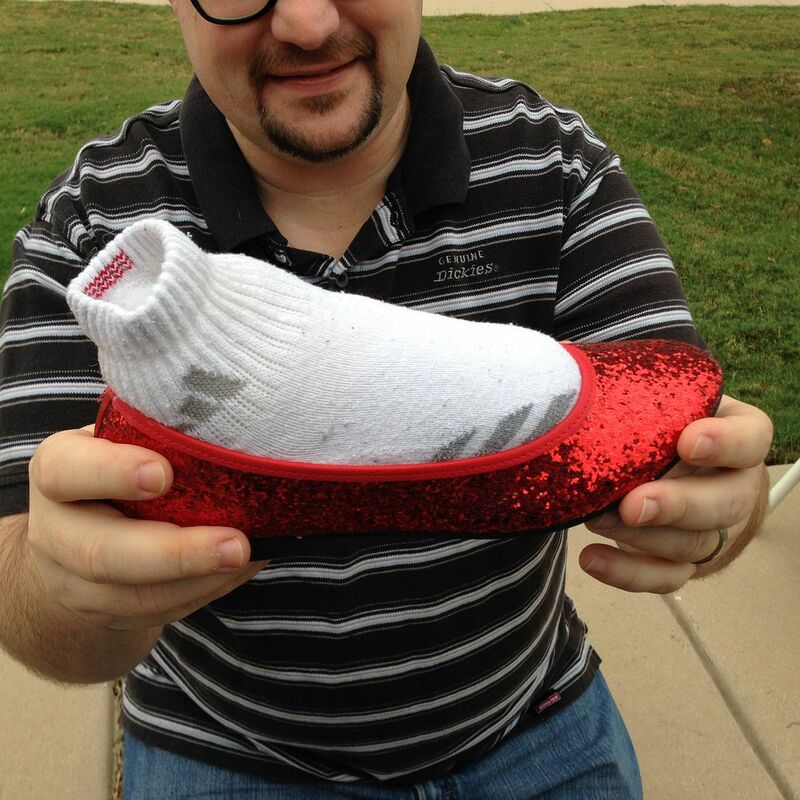 Some ruby slippers at the thrift store this summer. Sand from Home Depot. And so on, and so on. This tutorial is a bit more intense than my other Halloween tutorials. It’s fairly easy, but it will probably take a few hours to complete. Nate, my dear sweet husband, did a lot of the outdoor work for me mainly so I could be the official photographer of this witch crashing event. 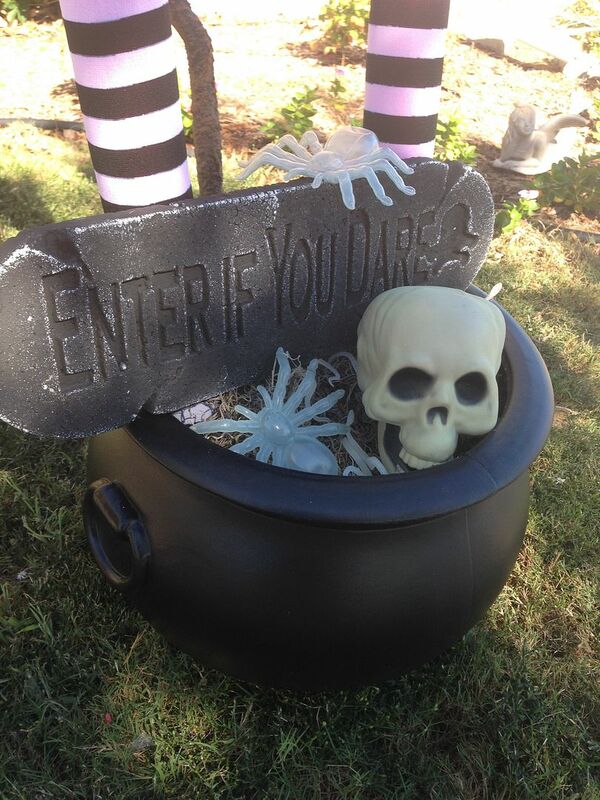 Things to add to the cauldron – skull, crows, snakes, spiders, sign, etc.1. 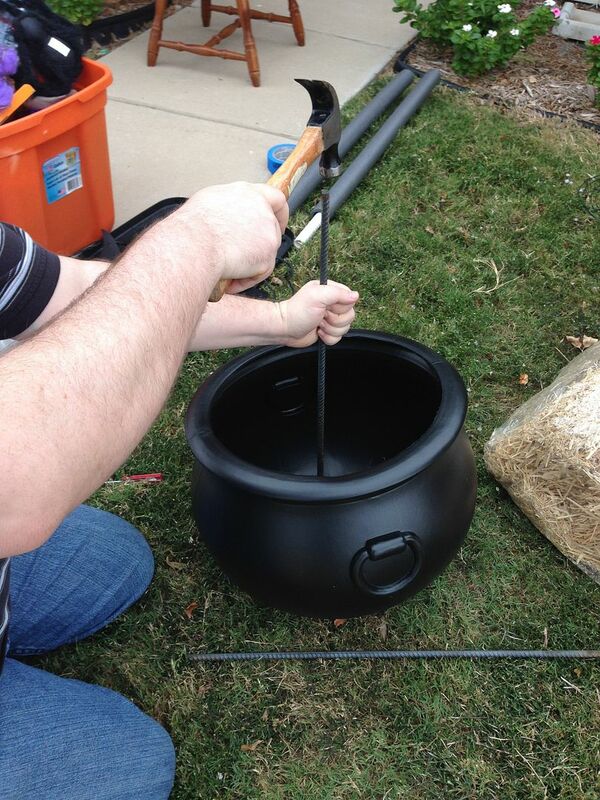 Using something like a screwdriver, make two holes in the bottom of the cauldron as shown. 2. 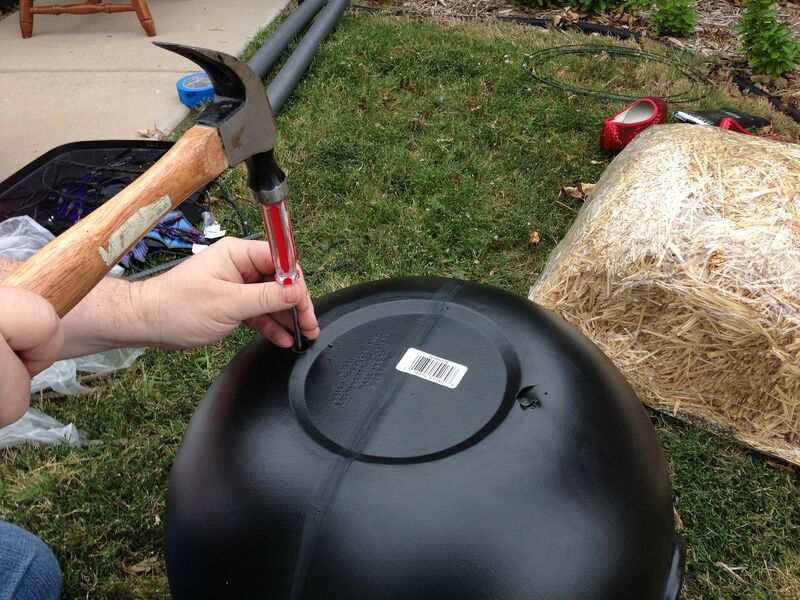 Decide where you want to place the cauldron and hammer the two pieces of rebar into those holes as shown. 3. Cut the PVC piping into two pieces, each about 3 ft 1 inches in length.4. Cut two pieces of the pipe insulation to about 6-8 inches in length. 6. Slide the pipe insulation down onto the rebar. 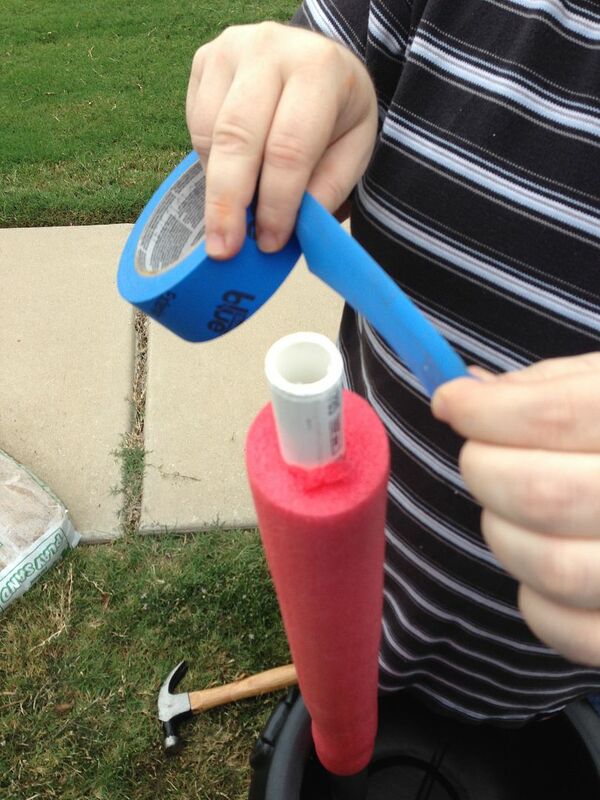 Then, check to make sure the PVC will work sliding onto the rebar and into the pipe insulation. Then, remove the PVC and we’ll make the legs! 7. 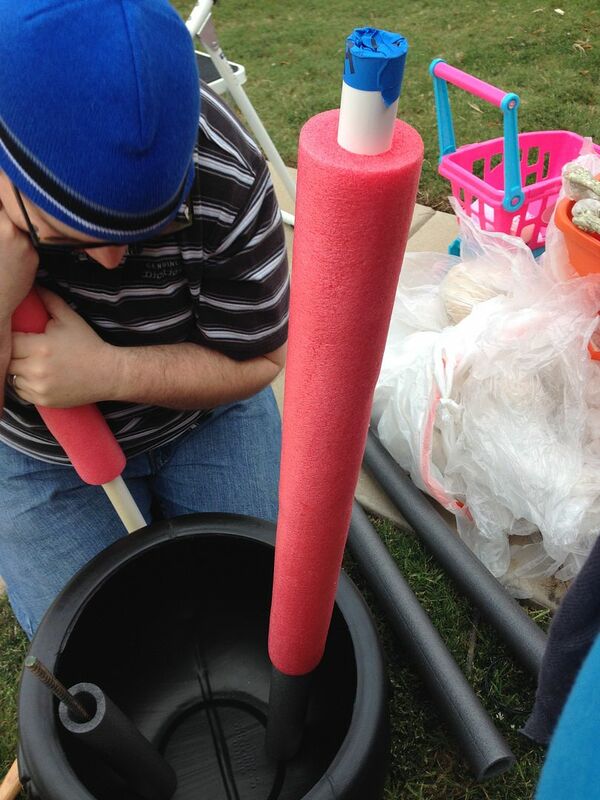 Slide the pool noodle down onto the PVC and leave about 1-2 inches of the PVC pipe sticking out. Sliding down will be a tight fit and take some muscle. Then tape over the rough edges of the PVC. 8. Stuff the pair of socks with polyfil and check to make sure they fit the shoes. 9. 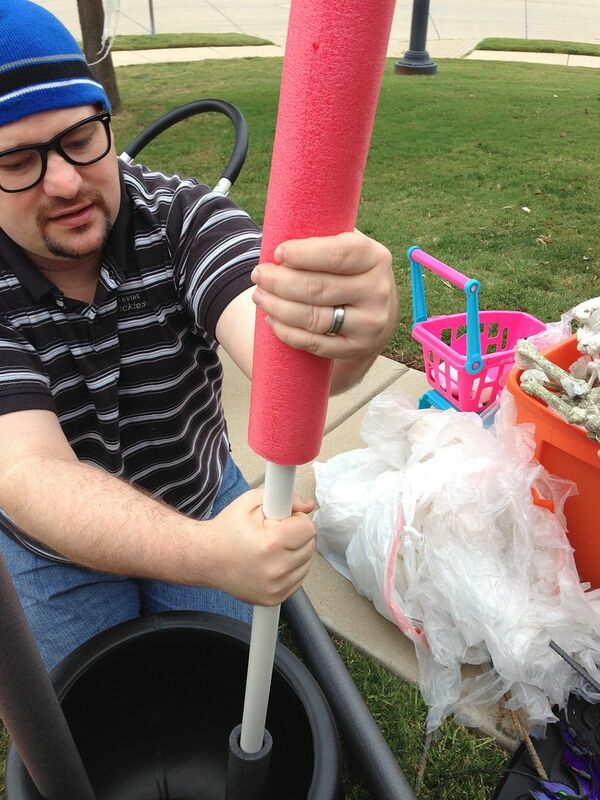 Slide the socks onto the pool noodle/PVC pipe that sticks out. 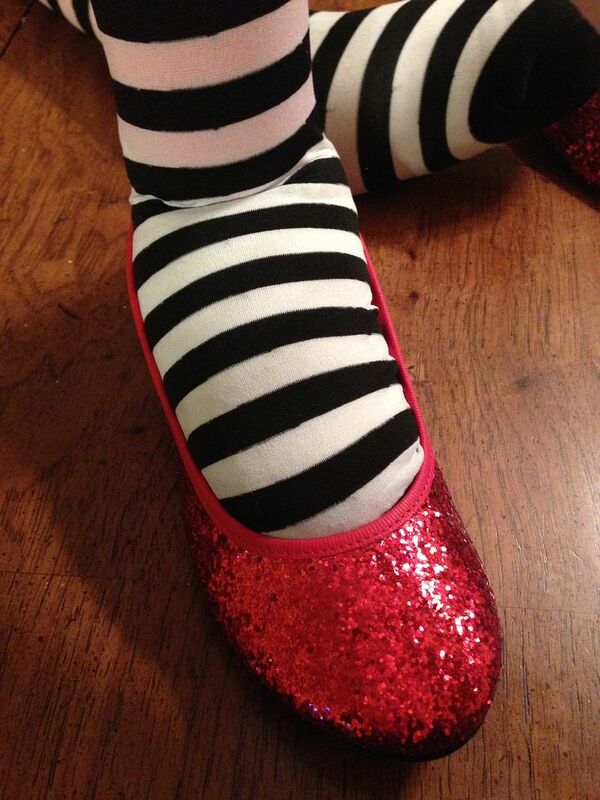 The 2-inch piece of PVC forms the “heel” of the foot. Then pull the top of the sock up and over the pool noodle. Then, tape all the way around the top of the sock to the pool noodle. 10. I preferred using thigh highs, so I could tie each one on. Slide one thigh high or leg of tights onto the sock/pool noodle/PVC piping and tied it off at the “top” of the leg. Do this for both. 11. Put the shoes on the “foot” of each leg. 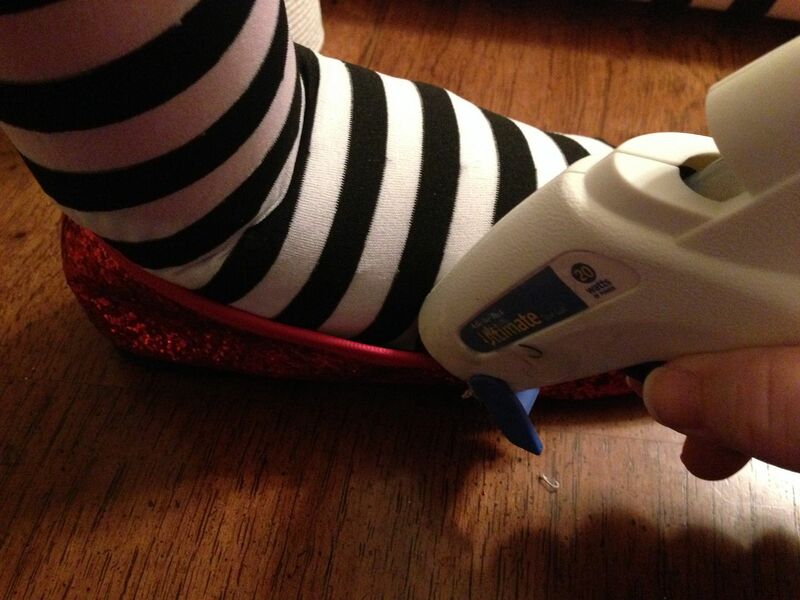 Using a glue gun, go around each foot and secure the shoes. 11. 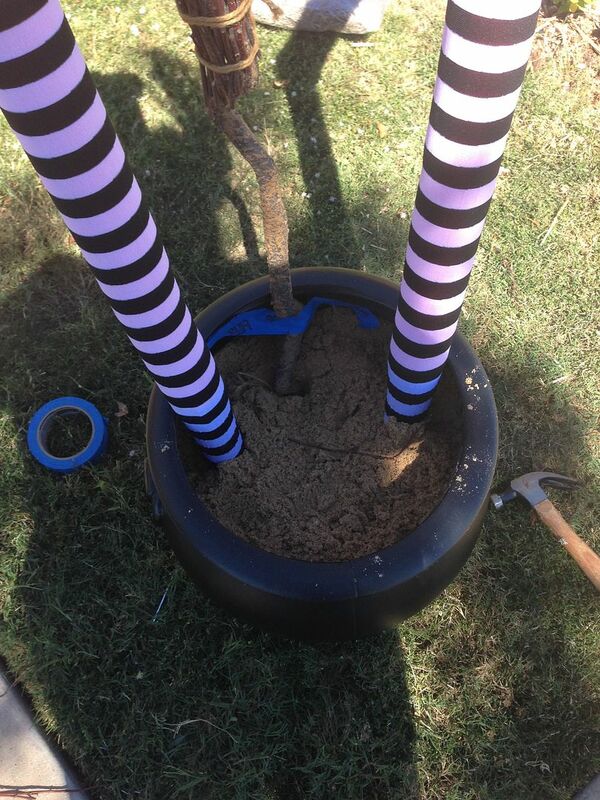 Slide the finished witch legs onto each rebar piece down through the pipe insulation. 12. Fill the cauldron halfway with some type of filling. I had some old plastic tarps I was going to throw out, so I filled it with them. 13. 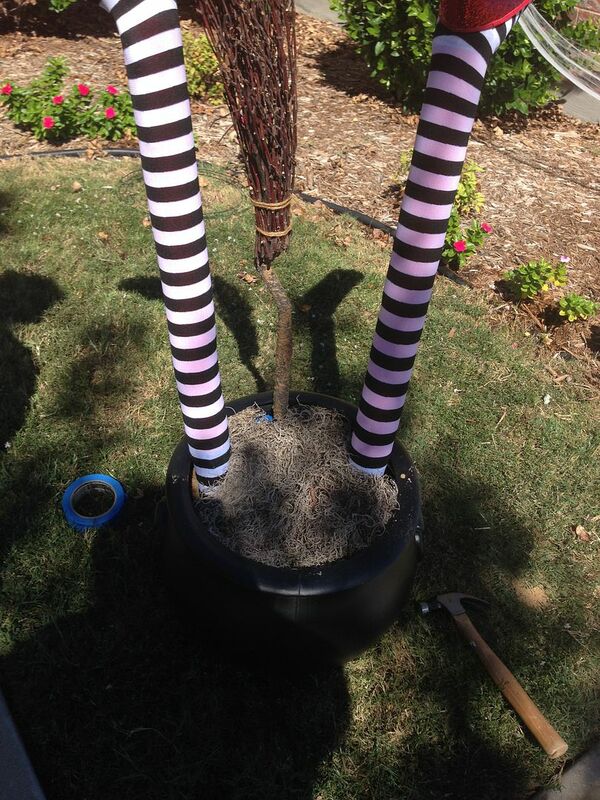 Fill the cauldron about 2/3 to 3/4 full with sand. 14. 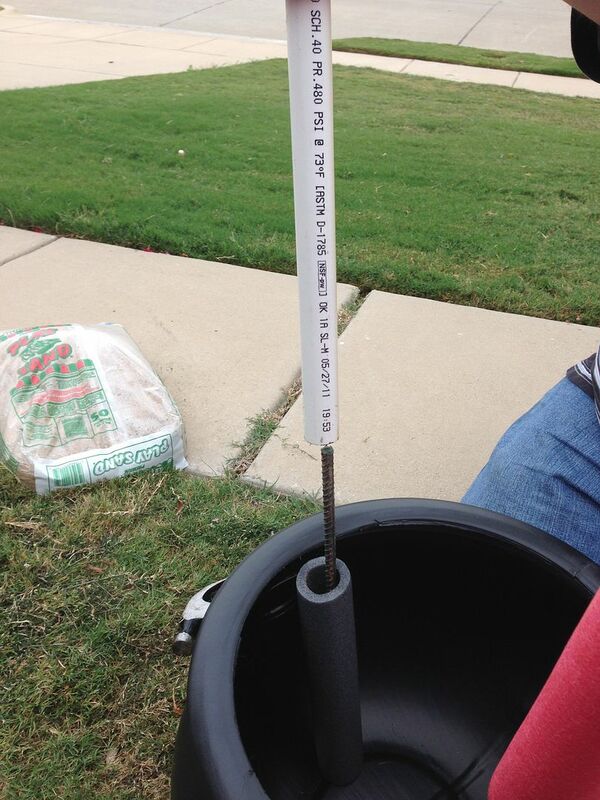 If adding a broom, insert it into the sand and tape it to the side as shown above. 14. Add the entire bag of Spanish moss to cover everything. 15. 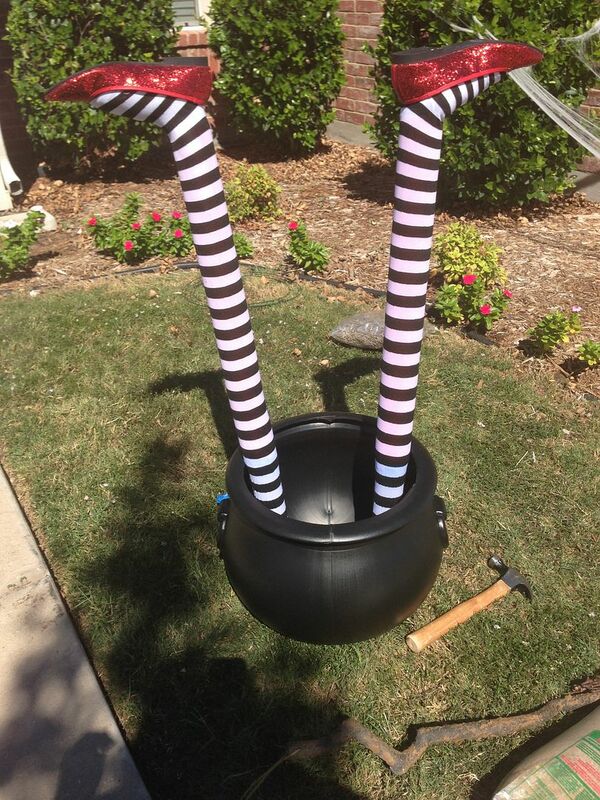 Decorate the cauldron. 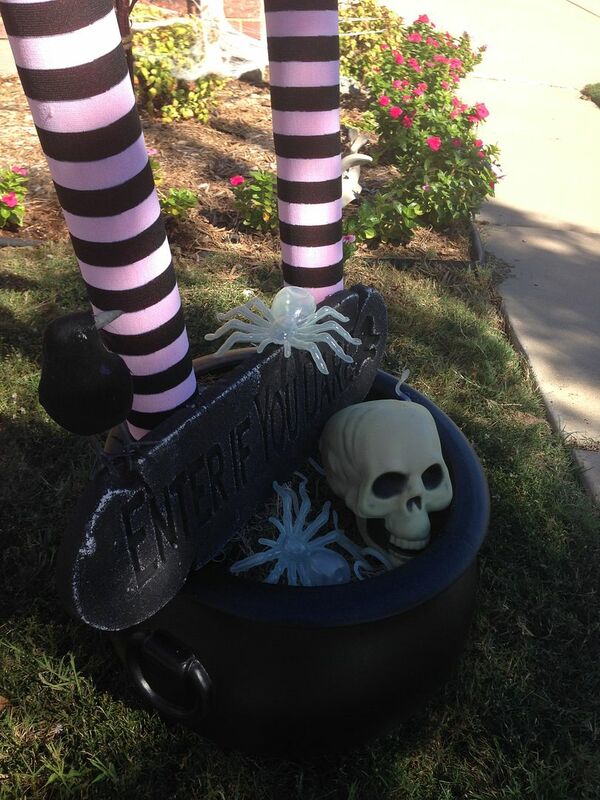 I went to the Dollar Tree and purchased several things — the sign, the skull, the crow, glow-in-the-dark snakes and spiders.I placed the skull, spiders, and snakes inside the cauldron – hot gluing the spiders and skull to prevent them from blowing away (which worked because we’ve had several bad rain storms and none has blown away). The sign had a string, which I slide down over the witch legs to secure. I also attached the crow to the sign by pushing the wires in its feet down into the styrofoam of the sign. 16. 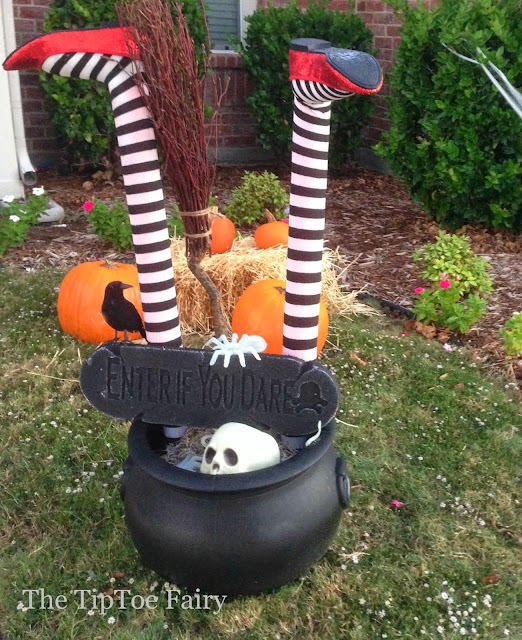 Place a solar powered spotlight across from your witchy legs and enjoy them at night! Homie, I have a whole ENTIRE month dedicated to PVC pipe crafts, this is genius!! I would love it if you linked up with us this week! Omg I love this idea! Great and easy decoration for halloween. This is so cute–love it! LOL that is a great halloween projrct!!! LOOOOVE the legs =D. pining!!! Very cute outdoor decor. I have a tabletop version I made of this. This is so creative! I want to make one next year! 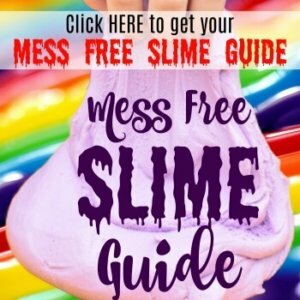 How can I subscribe to your blog? Thank you for your assistance! I love your blog a lot! You are really creative! I am seriously thinking about making this one for this year’s Halloween.